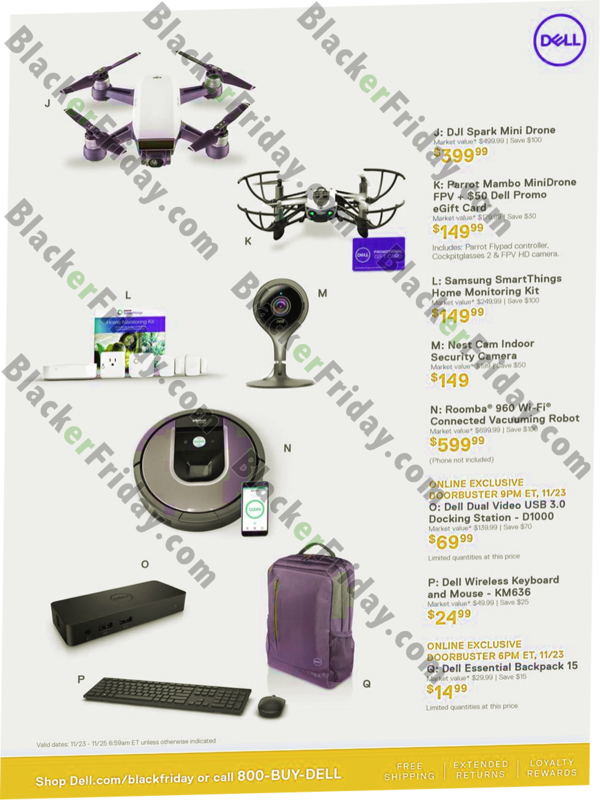 Black Friday is still a ways away. 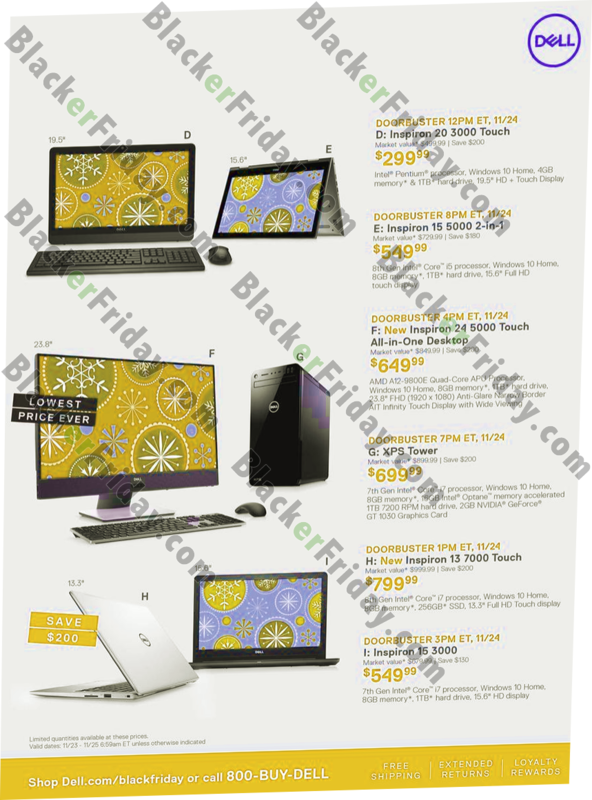 However, we’ve been tracking the Thanksgiving weekend deals coming from Dell for several years now and it’s likely you’ll see a similar price points and discount levels on your favorite computers and accessories as we did last year (you can scroll down the page to check out last year’s sale to get an idea of what’s likely to come). 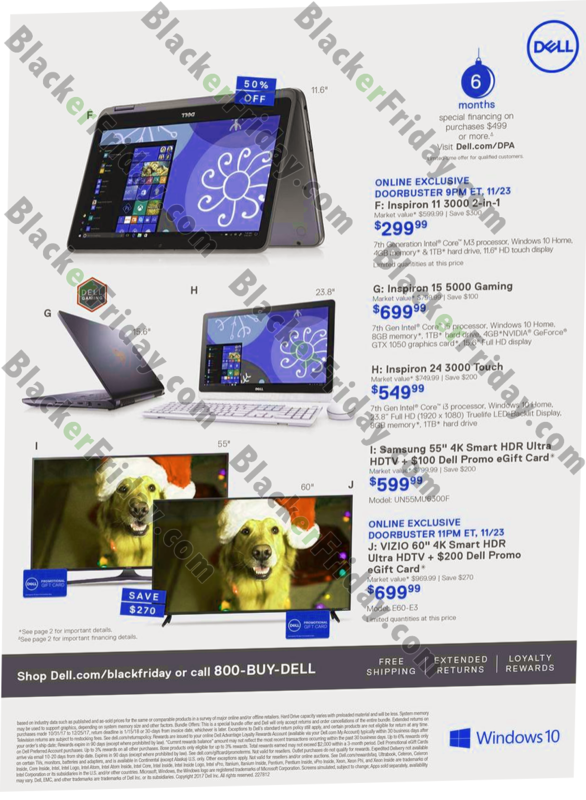 We expect to have Dell’s Black Friday ad in early November so be sure to check back soon for the latest updates (or just signup to our newsletter and we’ll keep you informed). 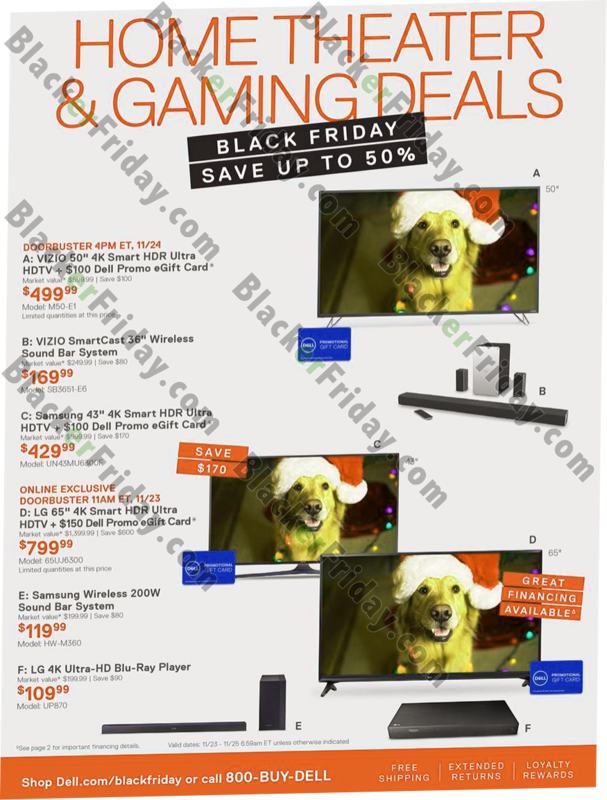 Good luck and happy bargain hunting! 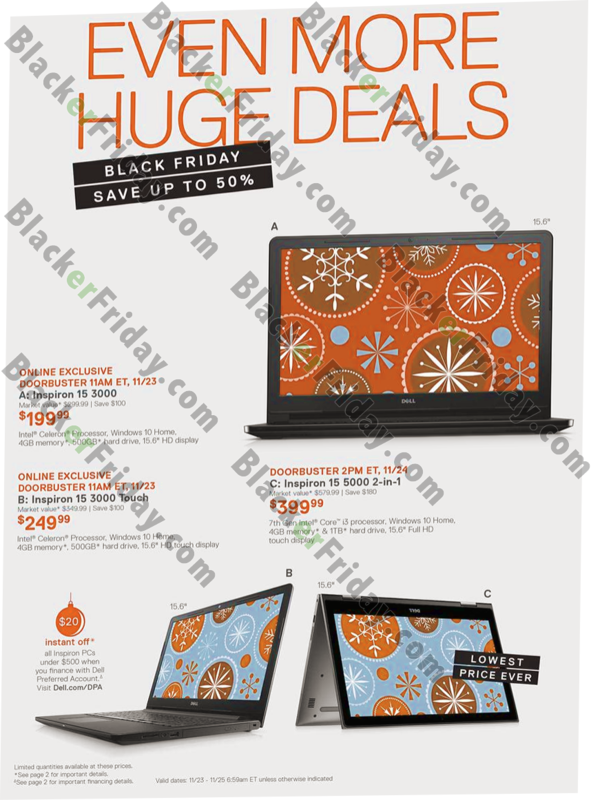 What are you planning on getting at Dell’s Black Friday sale this year? Let us know in the comments at the bottom of the page. 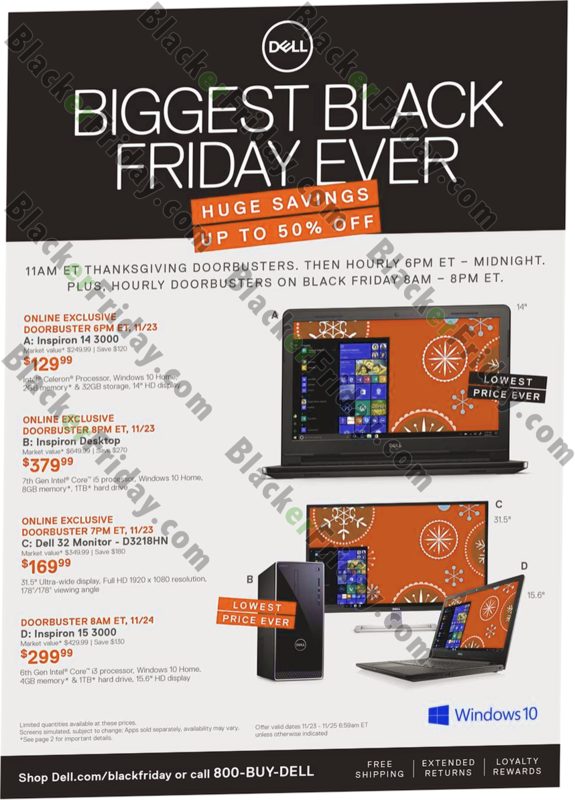 Updated on Saturday November 10, 2018: We’ve just been able to secure the 13-page Black Friday ad from Dell Home — We’ve scanned it in and posted it below for your viewing pleasure. Enjoy! 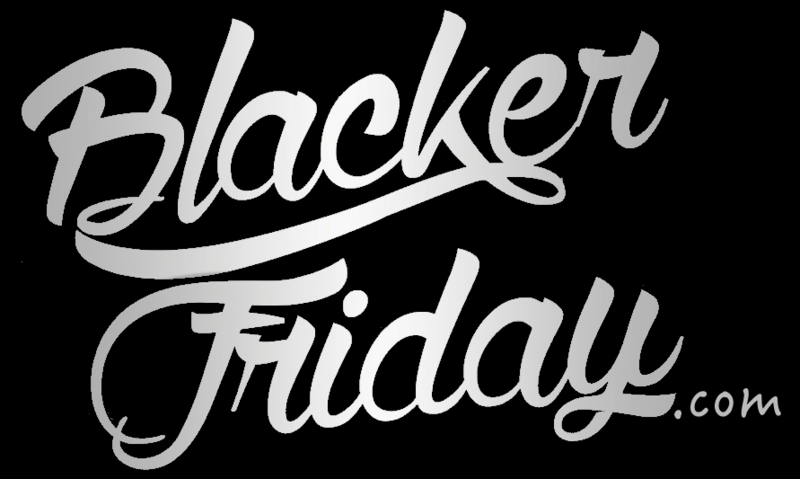 You’ll be able to shop most specials on Thanksgiving day right on their site. 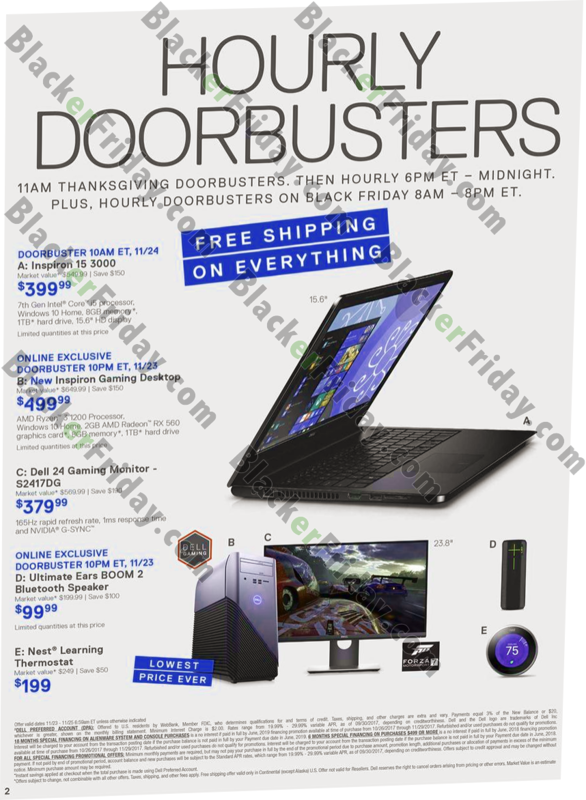 Just pay attention to the start times listed next to each item as they will vary (they’ve got some hourly doorbuster deals going on this year). 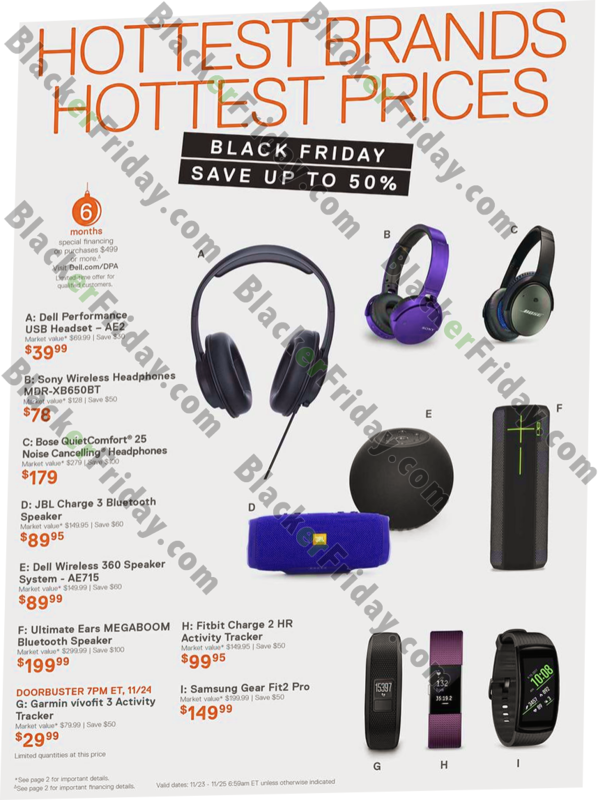 Free shipping and extended holiday returns are included with just about everything on their site. 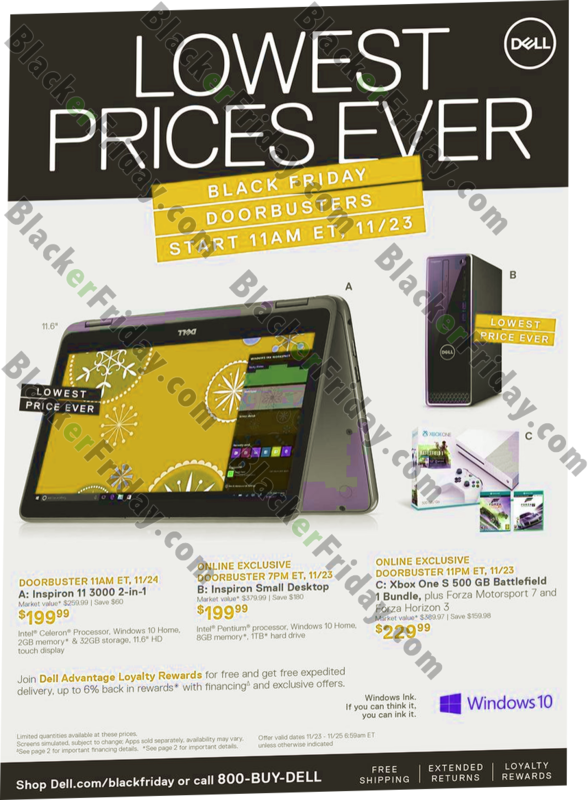 Updated Wednesday, November 1st, 2017: Just moments ago, Dell just released their Black Friday ad. We just finished scanning it in and have it posted for here: Page 1, 2, 3, 4, 5, 6, 7, 8, 9, 10, 11 and 12. 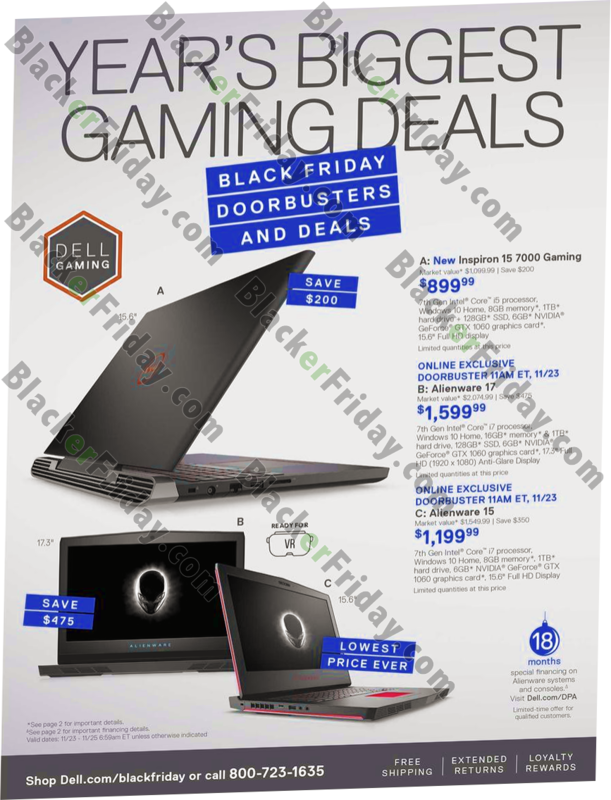 With the exception of Dell’s doorbuster deals that go live at 11:00AM ET on Thanksgiving day (that’s November 23, 2017), you’ll be able to grab these deals from November 15th through November 24th (while supplies last). 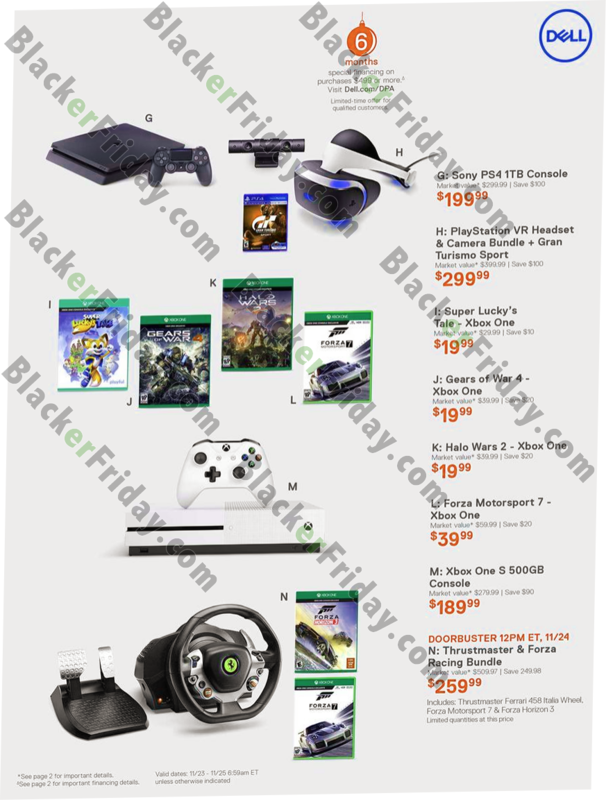 Just keep in mind that some of the offers are online-exclusives that will not be offered at stores or any of their resellers. 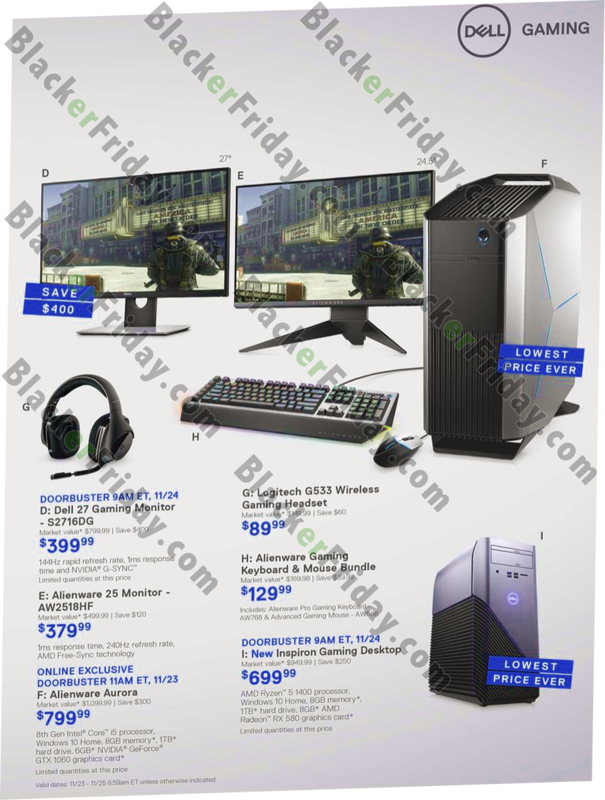 Dell Helpful Links & More!